Once your account is set up and active, we highly recommend locking down access to ensure it's as secure as possible, this page will show you how to restrict access to your admin login. IMPORTANT - If you're locking down access, please ensure the IP you add is static, if it's dynamic you will be locked out of your account when your IP changes. 1. Using the nav-bar on the left-hand side, select "Account - Security"
2. 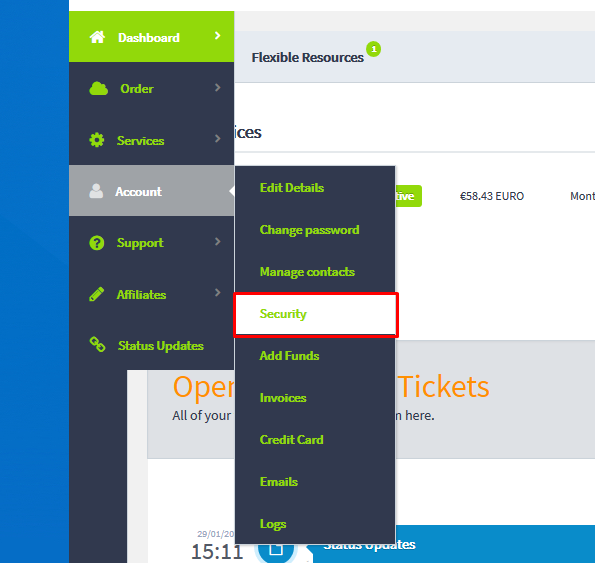 In the security panel you can configure the IPs that are allowed access. No IPs added means all IPs are allowed to access the account. 3. To add one, simply enter it to the field and click "Add Allowed IP" the change will take affect immediately.